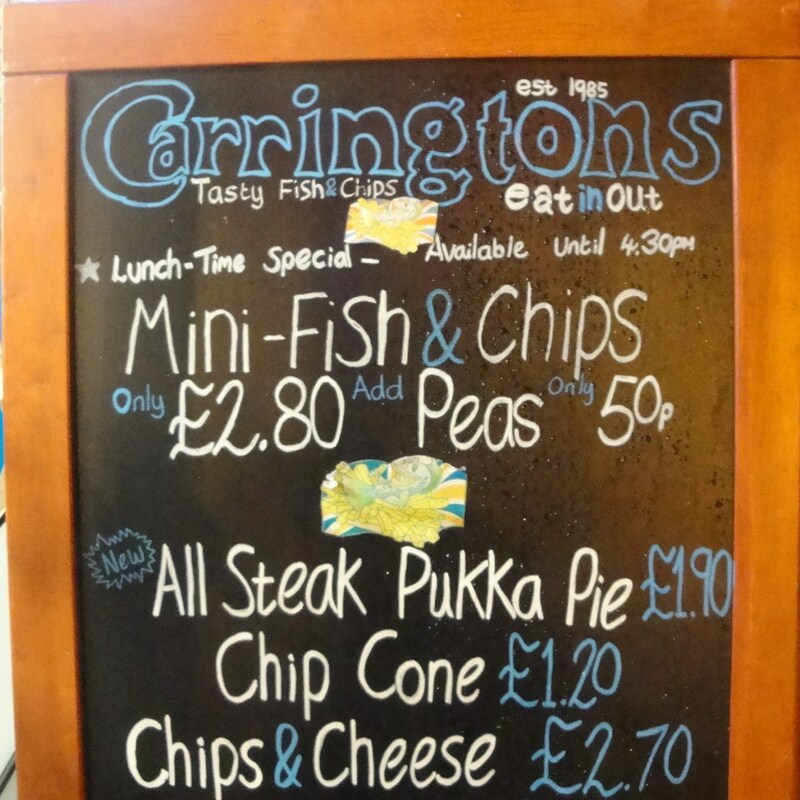 After a pint a Fellows, Morton, and Clayton’s I walked out into the cold foggy and somewhat icy evening air and headed back out up Carrington Street towards the train station. 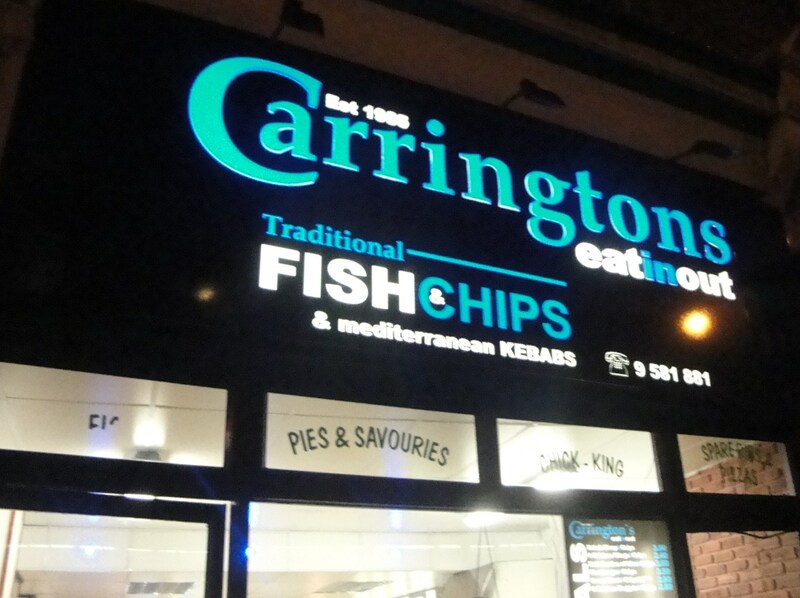 I was struggling to find anything quick to eat as I was running out of time, then I walked by Carringtons, a traditional Fish and Chips shop. 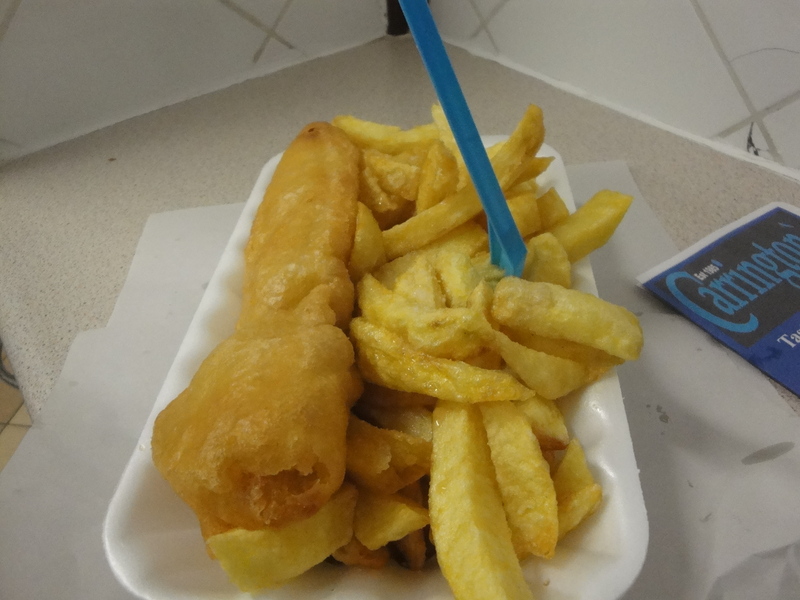 I really did not think that I could eat a great big bag of Fish and Chips but then I saw that they had a special of a Mini-Fish with chips for just £2.80. I reckoned I could just about manage that so I walked in. Previous Post “Tramwiches” the perfect name for a Sandwich shop by the Tram!